HOWEVER, YOU HAVE TO REACH HIGH TO OBTAIN IT. JUST LIKE OUR PARTNERS IN THE PHILLIPINES. The razor-sharp sickle slowly feels its way up the palm tree. With one cut, the coconuts then fall to the ground. Geronimo smiles in satisfaction. Geronimo Sabornido is standing with his two colleagues next to one of 400 coconut trees, breathing heavily. Palm trees can grow more than 20 meters high, making a harvest by hand no mean feat. 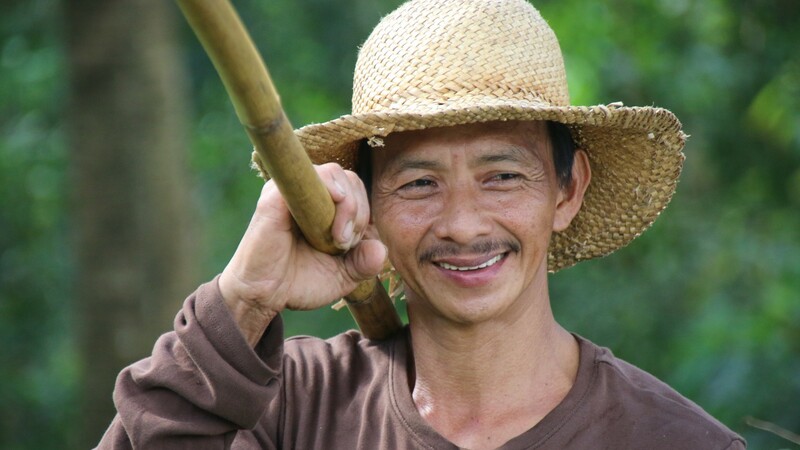 The task entails propping up a bamboo pole made up of as many as ten parts against the tree. A sickle attached to the end of the pole has to be moved with precision from a distance of about seven meters in order to cut down the ripe coconuts. Geronimo and his colleagues carry out their work calmly and quietly so that they do not waste energy in the humid climate. 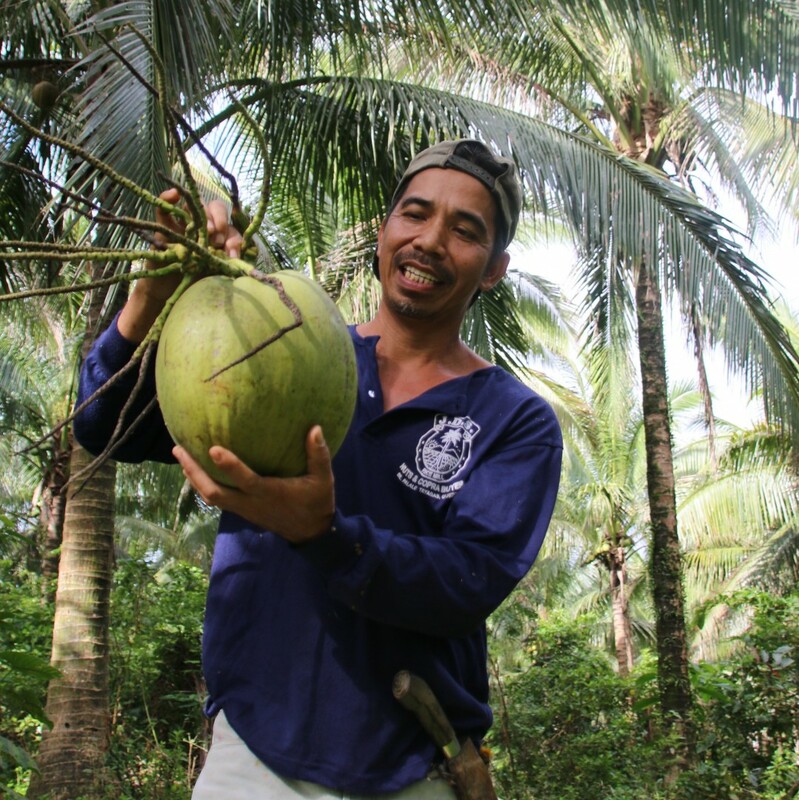 While his wife runs a small shop, the 49-year-old cultivates the two most important crops in the Philippines on an area of land covering four hectares: rice and coconut palms. 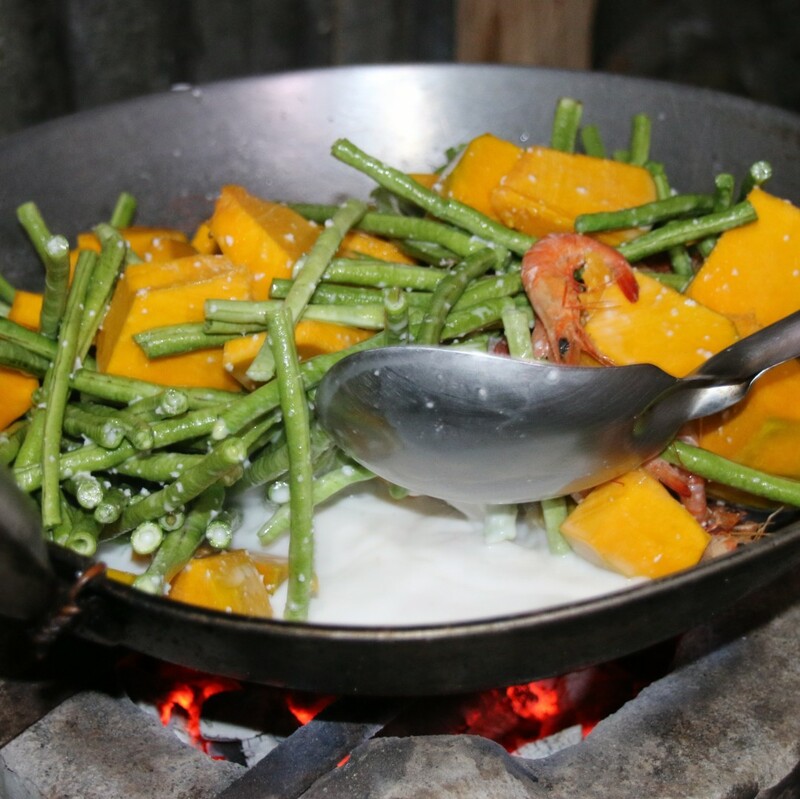 Geronimo Sabornido believes strongly in sustainable, organic farming. He uses only fertilizer made from green waste, and he deliberately chose to work with an old, native species of palm tree because, unlike cultivated hybrids, it suited the country well. It not only bears more fruit, but is also robust against local pests and has a much longer life span. Geronimo can harvest his organic coconuts several times a year. After collecting the fruit from the crown of the tree, his colleague impales it on an iron spike known as a palau and removes the nuts from their tough fibrous husks. The fiber can be used in the production of mats or ropes. The coconut is then revealed with its familiar massive shell, although this is a very light beige in color. 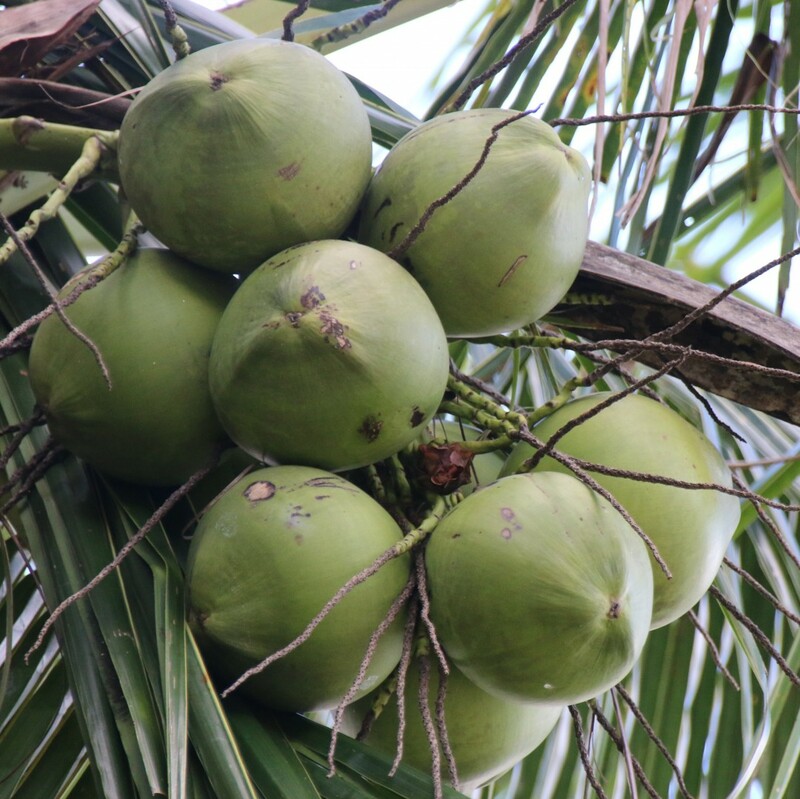 As a rule, coconuts do not turn dark until they are several months old, which is how they are often seen in Europe, for example. By contrast, Geronimo’s organic coconuts are pressed in a local oil mill after no more than two or three days. This fresh processing is crucial for a natural flavor, and it is guaranteed through rigorous quality inspection. Each nut is opened and peeled by hand. The pulp is cut into fine rasps, which are then gently dried to preserve them naturally. These rasps are then cold-pressed. The result is virgin coconut oil that is not refined nor deodorized nor bleached. It has a pure white color with characteristic marbling. In 2006 BIO PLANÈTE became one of the first providers to establish the market for virgin organic coconut oil in Germany. 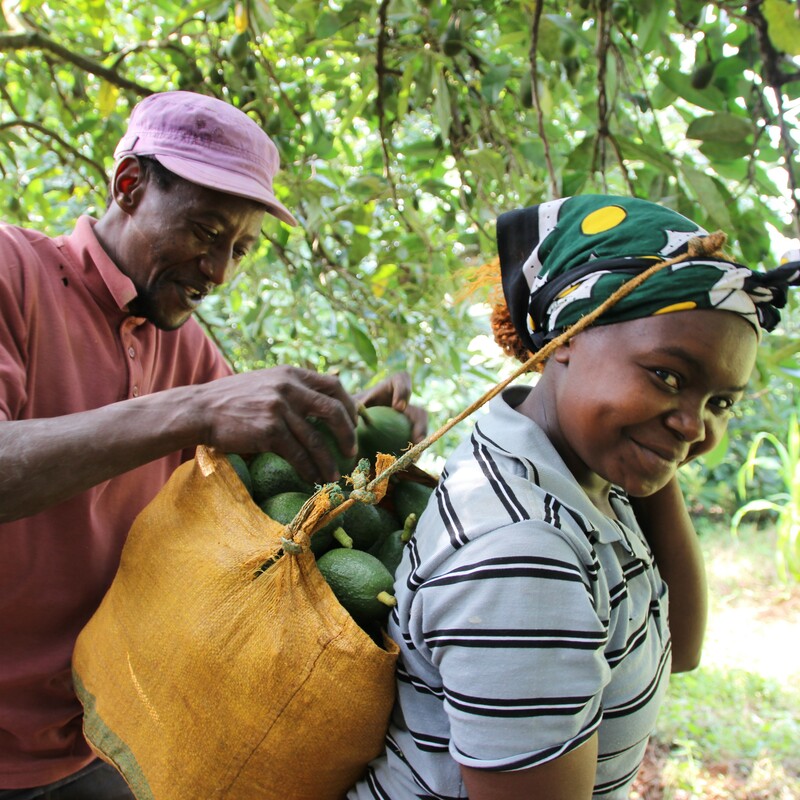 Since BIO PLANÈTE likes to reward the exceptional quality of the coconuts it receives with higher payments, the Sabornido family and its employees have a good income. After finishing work in the evening, everyone is sitting around the table among the palm trees and quite literally enjoys the fruits of their labor. 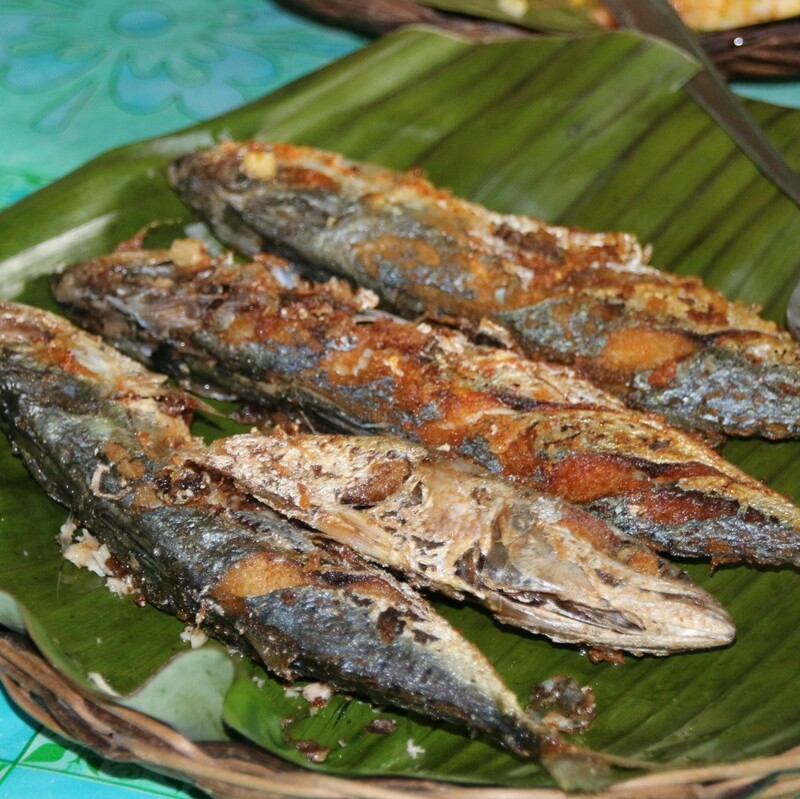 They fry fish in coconut oil, serving it with rice from their own fields as well as fresh vegetables and, of course, a cup of delicious homemade organic coconut milk. Lernen Sie Eunice und Bernard Mbuthia aus Kenia kennen! Unsere Lieferanten für Avocados.